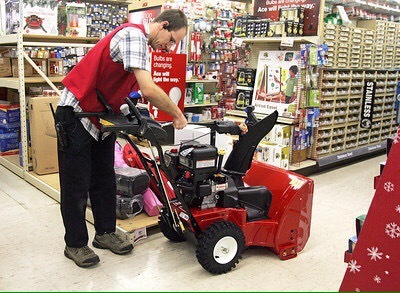 ELMHURST – Moments after opening for business at 8:00 a.m. this morning, First Street Ace Hardware Lawn and Garden Associate Luke Bingham was ordered to immediately pull all patio furniture, gas grills and other Outdoor Living items from the front sidewalk and replace them with snow blowers. Despite earning the same hourly wage during his scheduled six-hour shift today regardless of what he is asked to do at the store, Bingham stated that he’s simply more comfortable working with spring and summer items like planters and pest control. Store Manager Tony Martz was unavailable for comment.